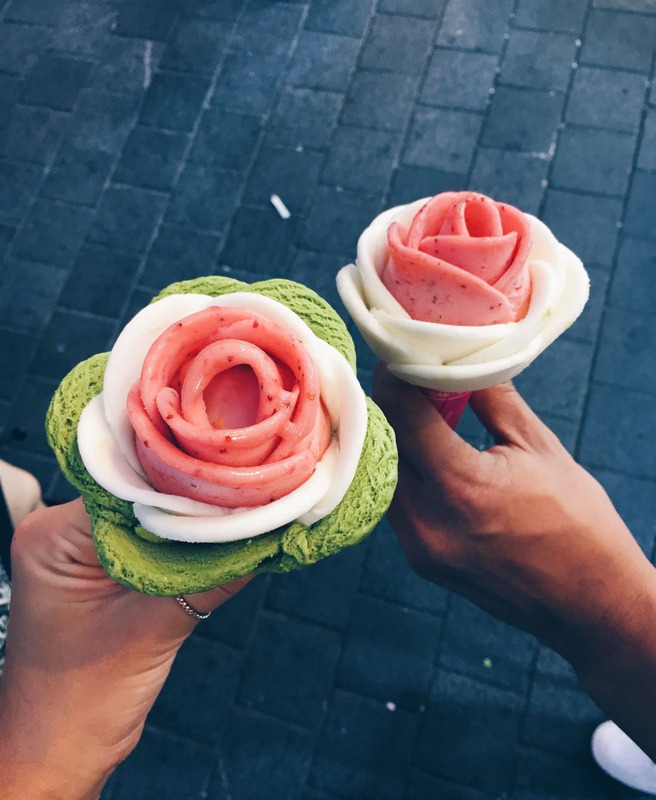 Still haven't had the fantastic rose ice creams in Paris, but we did find these cute and small rose ones in Seoul last time! How come food and treats always looks better as a thing like a flower or an animal? It gets us every time, next we are going hunting for sushi bagels and panda donuts... Stay tuned!